Today is Tuesday, November 1st. 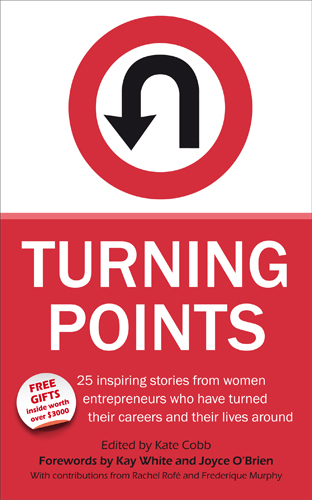 As I mentioned a couple days ago in And What Might YOUR Turning Point Be?, today also happens to be the global book launch of Turning Points: 25 Inspiring Stories From Women Entrepreneurs Who Have Turned Their Careers and Their Lives Around. The book concept is the brainchild of our editor, women’s business and executive coach Kate Cobb (www.movingforwardyourway.com). It’s been carefully husbanded through the publishing process from start to finish by Jo Parfitt (www.joparfitt.com) and her Summertime Publishing company. What began many months ago has finally come to fruition. 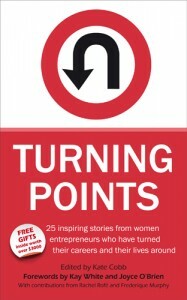 Twenty five women from around the world, all walks of life, with a wide range of jobs, careers, interests and passions, came together to share their personal and professional turning points: those pivotal moments or series of events that made clear to each that widesweeping change was required. We offered up intimate details on our backgrounds and challenges, the highs and lows of our lives, and how we tackled revamping and reinventing ourselves, our careers and our lives. We also shared the people, books, websites and other resources that inspired and aided us along the way to give others ideas, suggestions and hope for making significant changes and adjustments in their lives. I’ve been writing a long time. Practically my entire life. But until recently it has always been unfocused and sporadic, and the results minimal. It has only been in the past few years that I have come to realize how important writing is to me, and to make it the priority that it truly is. It is not a hobby. I’m not dabbling. It is my vocation and my release. 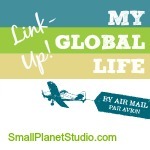 I write on a wide range of topics, in many markets and in several genre because I am driven to do so. I am in the midst of a non-fiction book about a topic I feel strongly, passionately about. I have short stories kicking and screaming to get out. There is a novel calling my name. It may sound odd coming from a blogger and writer, but I don’t particularly enjoy opening up and writing about what is deep down inside me. My family and closest friends certainly know more than others, things I do not share willingly or easily. But even they do not know all that resides at my very core. No one can. Not when we go to the deepest place inside each of us. I’m no different than anyone else: I have dreams and aspirations and ambitions as well as fears and longings and regrets. So to open up and write about some of these issues is not only scary, it’s daunting. Occasionally even paralyzing. The act of putting pen to paper encourages pause for thought, this in turn makes us think more deeply about life, which helps us regain our equilibrium. Every word that I wrote in Turning Points is absolutely true. Yet in many ways they are a beginning in themselves. A launching place for more. Special Launch Day Bonuses (TODAY ONLY): If you purchase Turning Points (see either the Amazon link immediately to the right or the Books You’ll Love tab at the top) today, November 1st, AND then immediately go to the site to qualify (www.theturningpointsbook.com ), you can earn some wonderful free bonus gifts. You can also follow us on Facebook’s The Turning Points Book page or Twitter @Turning_Points. All sales support the inspiring international charity www.seedsfordevelopment.org. Fantastic! We’ve been in very good hands with you and Summertime Publishing, Jo. Keep an eye on Jack’s site tomorrow as my virtual book tour starts and a certain publishing guru is featured! Thanks Niamh. I appreciate your support, and wish the same for you. Congratulations Linda! So today it’s D-day. It is very nice to see that all your hard work has come to “life”. You’ve accomplished so many things in such a short time, and I’m sure much bigger things are waiting for you to be discovered. I’m very proud of you. Thank you so much Kim. You’ve been there from the very beginning, giving me good ideas, feedback and encouragement. You have no idea how much you’ve helped, and I appreciate it. Great news! Congratulations on the launch! Hope to catch up soon. Thanks Lisa. 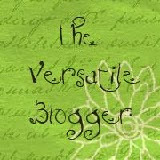 I’m making mega lists, will be in touch tomorrow Lisa to see what techno-magic you can weave for me! I’ve only just realized that writing is not a hobby for me either! Why pretend? It’s your calling! Congratulations on the book launch! Very exciting (and a bit scary) when you realize that, and take the next step and finally admit it. Thanks for your support; keep up the great writing! And I want you all to come over to http://www.insearchofalifelessordinary.com on Friday to support Linda’s writing when her blog tour hits In Search Of A Life Less Ordinary! Please do make any comments, large or small, in support of Linda and her co-writers’ efforts. I’d love to see this book sky-rocket (which I think it already may be doing). Congrats Linda, Kate, Jo and all – this is a great book and shows us what your combined writing and publishing efforts can achieve in expatland. Looking forward to my virtual stop in Oz on Friday Russell. Not only are you a wonderful storyteller, you’re a supportive colleague and I truly appreciate it. Hitting #1 has left me in a haze of disbelief! Congratulations Linda and all involved. Kudos to you Linda for getting closer to what truly makes you happy and alive! Some people go a lifetime without ever being able to tune into what that actually means for them. You’re an inspiration! That’s kind Aisha, thank you. Stunned and excited about how well the book is being received. As for getting closer to what makes me happiest, I’m like anyone else: some days it clicks and comes easily, other days…not so much! Isn’t it great when you are following your vocation? Congratulations Linda on your dedication to your writing andon being a Best Selling Author! We were honoured to have you as part of the “Turning Points” . I agree that it’s amazing how well it’s been received and getting to #1 best Seller in the Women & Business section show s that the message of seeing the positive in life’s events, touches a chord with many, many people. Jo and Summertime have been fabulous throughout and we couldn’t have done it without her! So true Kate, we’ve been fortunate to be in such good hands with an experienced publisher like Jo Parfitt and a talented editor in you. The upbeat message, despite many stories being about very negative situations, really rings clearly. Sharing how we all made changes, resources we turned to and lessons we learned along the way makes it even better. Linda, Thanks for sharing, and for mentioning Norbet Platt’s quote. I can totally relate with you, when you say that writing your chapter was a pivotal moment, I felt very much the same. When I first saw the manuscript I couldn’t put it down. All of the stories are so different and enlightening, especially yours. It’s been nice ‘working’ together on this book! Congratulations Linda, I know how it difficult it has been to share something so personal and life changing. You have been open and honest in allowing others to read your words, offering hope to many who are facing their ‘turning point’. It says so much about the person you truly are. Keep soaring. You are such a sweetheart, thank you. It’s a bit like peeling back an onion: sometimes it makes you cry a little, but there are so many more layers there than you realized.